The battle for enterprise customers in the cloud is increasingly zeroing in on the single most important asset of the enterprise: the data warehouse. 2019 promises to become the breakout year of data warehousing in the cloud. Notably, with Azure SQL Data Warehouse Microsoft just upped the ante considerably. In its latest research, GigaOm presents comprehensive benchmark data that looks at both raw performance and, probably more important, price-performance ratio. According to GigaOm, Azure SQL DW now packs quite a punch. When compared to other systems, GigaOm found it to be faster by over 10x on the TPC-H benchmark yet being distinctly more cost-effective. At Datometry, we have been watching the development of Azure SQL DW closely over the years. Just in the past 12 months the profile of Azure SQL DW has risen sharply. It is fair to say, it has established itself as a viable alternative to classic on-premises data warehouses. The reported performance reflects our observations in the field and suggest what could be a tectonic shift in this space with ramifications for practically every enterprise in the Global 2000 and beyond. At Datometry, we virtualize workloads by translating and redirecting legacy SQL in real-time to cloud data warehouses. As a byproduct, our platform analyzes the use of features and complexity of query workloads. This puts us into a truly unique position when it comes to assessing the viability of individual solutions. That said, one of the main concerns raised by customers in the past was whether a cloud data warehouse is powerful enough to sustain complex workloads. Will a Teradata workload run unmodified on Azure SQL DW? There has long been anecdotal evidence that Azure SQL DW outperformed on-premises heavyweights like Teradata for certain types of queries. An effect that is particularly prominent with highly complex queries. The newly released benchmark data, however, shows SQL DW has matured considerably to be a powerful substitute for on-premises system in general–across a broad range of workload complexity. Simply put, a stand-alone data warehouse used to be a strategic asset in itself. One for which enterprises were willing to pay a steep premium. However, the cloud has changed this notion fundamentally and enterprises are no longer looking for “just” a database. Rather, modern data warehousing is about leveraging an entire ecosystem of data processing. This means on-premises EDWs, which have become the epitome of data silos, are increasingly losing their strategic role. While Azure SQL DW has grown into a solution that offers data processing at an attractive price-performance ratio, it is the integration with other services that has enterprises take note. Data relocated into Azure is now readily available to other services for a broad spectrum of advanced processing. Underlining this trend, Microsoft announced the general availability of Azure Data Explorer and Azure Data Lake Gen 2. They are but two of the building blocks of a larger mosaic of cloud scale analytics. 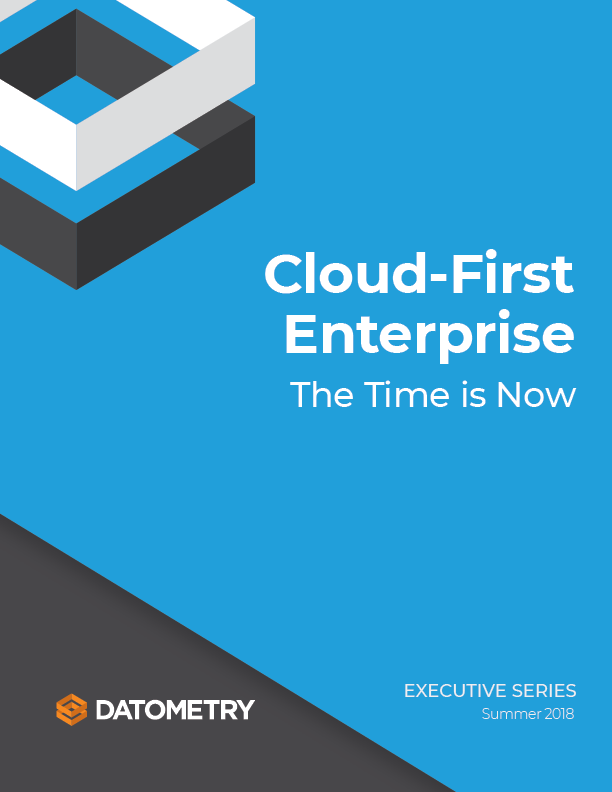 With database performance catching up, promising economics, and a rapidly expanding ecosystem of data applications in the cloud, IT leaders face one simple question: do they have what it takes to move the enterprise to the cloud? Over the years, conventional database migrations have developed a reputation for being career killers. Having to rewrite dozens if not hundreds of applications in order to make them work with the new data warehouse system is an enormous investment. In practices, millions of lines of code of SQL across ETL, reporting, and analytical applications need to be rewritten and adjusted. A 3-5-year database migration is not only a drag, it also means 3-5 years lost in an ever-tighter race for competitive advantage. For both, cloud service providers and enterprises to be successful, a better way to replatform is needed! Enter Datometry. Datometry Hyper-Q™ is a virtualization platform that lets EDW applications written for systems on premises run natively on a cloud data warehouse without having to change their SQL. That is to say, applications stay unchanged. Hyper-Q intercepts the communication between the application and the database, translates the payload in real-time from Teradata SQL to the new target language, and redirects all communication to the cloud data warehouse. With Datometry, any enterprise can replatform their Teradata-based applications at a fraction of the time and cost to Azure and get cloud-native rapidly. Datometry is a proud technology partner of Microsoft. To learn how to migrate from Teradata to Azure SQL DW and accelerate the journey to the cloud with Datometry, register for the upcoming webinar.